Today I very carefully introduced students to Newton’s 3rd Law with an interactive demonstration. The equipment setup is two force sensors connected by a string resting on the table. I grip a force sensor in each hand and pull them apart; at first, while keeping them at rest. Students draw system schema and FBDs which we then compare and discuss. 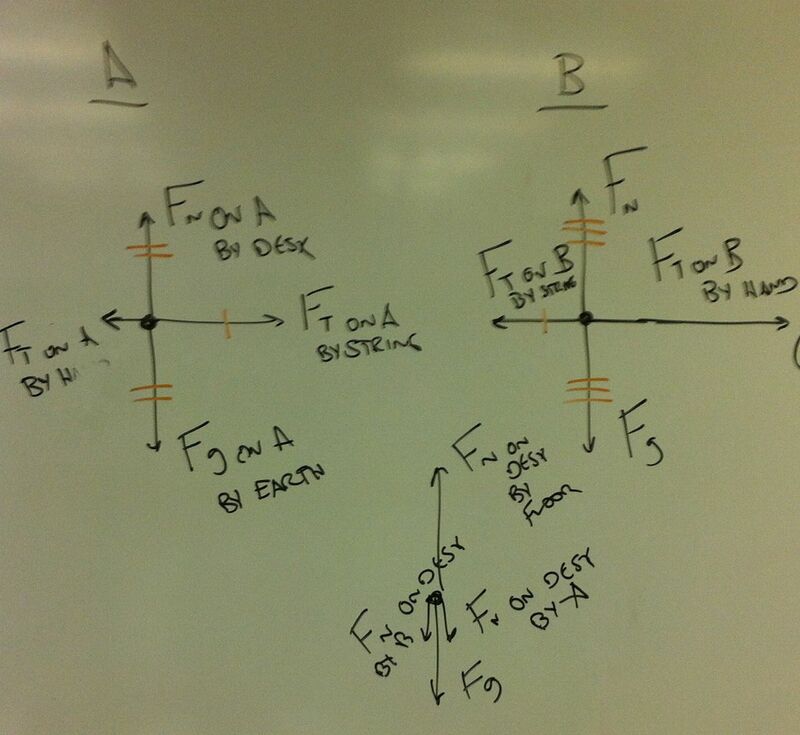 Students then predict the relationship between the forces in the two FBDs. 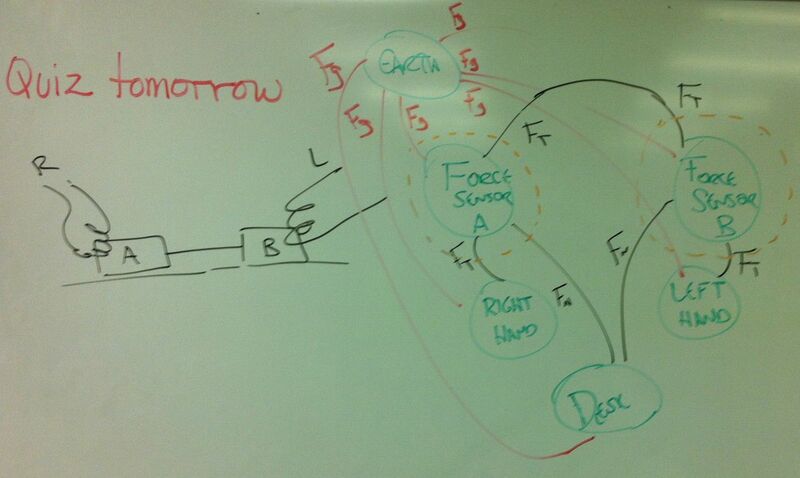 I then display the data from the force sensors which clearly indicates the equal magnitude of force on each sensor. We discuss which forces are the same and why. We then repeat the activity for the case of the two sensors moving with constant velocity. 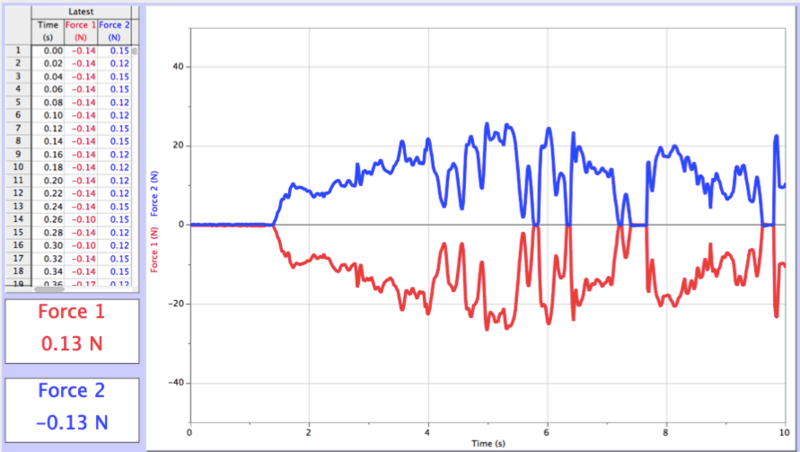 We then repeat the activity for the case of the two sensors moving with increasing velocity in one direction. Finally, I demonstrate that no matter how the two sensors move, the force on each by the string has the same magnitude. In years past I’ve had students work through these activities in small groups. I have found that carefully leading the whole class through these activities with time to make predictions and time to discuss is much more effective.